Sublimely talented Hawthorn premiership hero, Tiwi Islands favourite son, Norm Smith medalist, outstanding member of a legendary footy family and fan fave, Cyril Rioli, has announced his retirement from AFL football, effective immediately. After a stellar 11-year career in the brown and gold Rioli will hang up his boots and return to Darwin to begin the next phase of his life. “The decision to retire from football is something that I have thought long and hard about over the past 12 months. I’ve weighed everything up and I am confident the decision I’ve made is the right one for me and my family,” Rioli said. “I love the Hawthorn Football Club and I cannot thank them enough for the opportunities they’ve given me and the way they’ve embraced me and my family over the past 11 years. Hawthorn Senior Coach Alastair Clarkson paid tribute to Rioli as one of the most influential players our game has ever seen. “Cyril has been an outstanding servant of this football club for a long period of time and there have been very few players that have brought as much excitement to the game,” Clarkson said. “His ability to influence a contest with a minimal amount of disposals is like no player I have ever seen and that’s why the whole footy world loves watching him play. While Cyril has been on extended leave from the Hawks for some time, surely many fans will be saddened if perhaps not shocked at his decision to call time on a glittering career. What were some of your best memories of Cyril in the brown and gold? Hawks fans, how important has he been for your club & how will you remember his career? Best wishes for retirement Cyril & many thanks for your wonderful services to footy. I’m surprised to hear and sad with his retirement. His shifting and scoring goals as a small forward impressed me a lot. Cyril is one of non St Kilda players I admire. He was one of on field role models for my play at the Osaka Dingoes. Footy is often on in the background in our house. When my kids were really little – pre-school age – they didn’t know any players . Except for Cyril. Magnificent player.Uplifting player. Distinctive player. Effective player. Wishing him all the very best. Wonderful memories of a sublime talent. Cyril is only 28 (seems like he has been around forever)!! So, to me, it is most important that with a long life ahead of him, that he finds contentment post-footy. Extraordinary, freakish ability to win contests, even when out of contention. Amazing recovery. Super-scarey tackler. Low number of possessions but nonetheless won so many games for Hawthorn by doing the humanly impossible. Was frequently the difference between the two competing sides. A complete master at goal-assists. Lacked endurance, but for sheer talent arguably the best footballer we have ever seen. Cyril was a superstar. And probably more importantly he carried himself very well. Was never a mouth, never sought the limelight, never regarded himself as bigger than the game. Good luck to you Cyril. Footy will miss you. Brilliance is going out of fashion. Wonderful player, nobody can play in four Premierships by getting lucky. In this modern era of players regularly racking up 30 touches a game that we barely notice, Cyril could carve the other team up with 5 touches and a couple of tackles. just as regularly. He would have been one of the first three or four picked every time he was available. Cyril drove the rapier into Eagles hearts so many times after Hodge had softened us up with the cudgel. His genius and artistry will be missed by those of us who value the brilliance of the game at its best above the abacus of wins and losses. His hands picked our pockets so many times while distracting us with his dazzling footwork. Like a Sammy Davis Jnr concert he left Eagles fans lighter in the pocket and heavier in the heart – but still somehow pleased to have witnessed the multi-faceted genius. In the interests of the Almanac’s finances I am prepared to pay $20 to have the image at the top of this piece removed. I will contact Kate about having the original burned. I’ve offered Richmond $100 for Daniel to go with him. 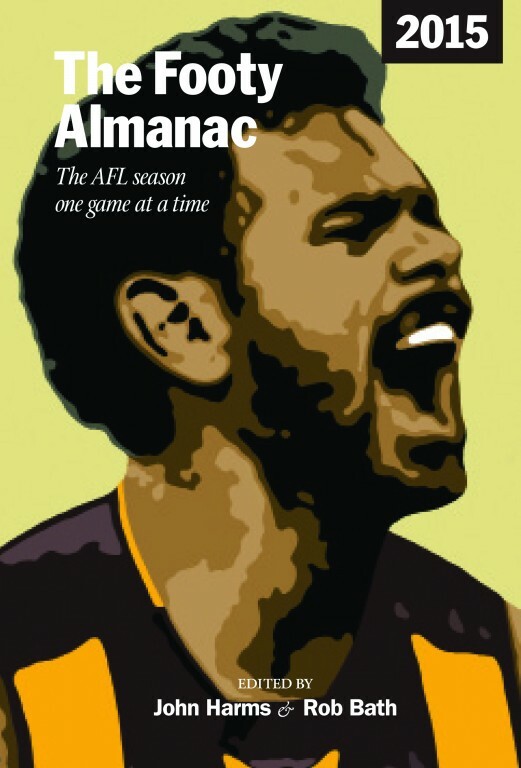 Having the best Rioli in footy would be some consolation in the looming train wreck of the Eagles season. Big boots to fill Willie. Time to get working on translating talent into results. 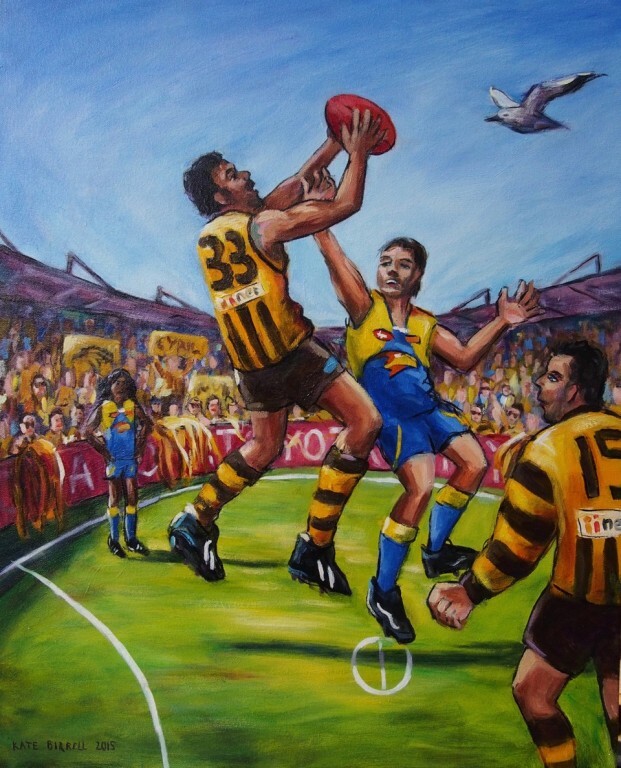 You don’t have to be an AFL aficionado to appreciate the skills and brilliance of Cyril. Here in rugby league land, we readily and happily ‘doffs our collective lids’ to one of the more sublime players of the last decade. My neighbour, Barry, a Hawks man through and through in the wilds of Noosa, will be devastated at this news. And every best wish for what we hope will be a long and productive life, whatever it’s direction may take. As a “proud, passionate and paid up” member of the Hawkporn pack, let me be among the first to brush off the salt encrusted keyboard and respond to the invitation to speak of our Junior Boy. For my beloved “three and three” to leave us on this Yankee Doodle Dandy Day presents an irony that brings a wry smile to a visage Tracked with Tears (I am sure that Shirl is also crying up on high). We will never see his like again. I guess that in the end there was only one place the homesick little boy from the Scotch College dorms could end up. Cyril was one of the few players who could make me turn on the TV just to watch him, as Hawthorn are not my side. He has been that greatest of all types – an ornament to the game. I would rather see him get 15 “touches” than watch stat racker-uppers like Tom Mitchell or Kane Cornes get 50+. The very best wishes to him, I have no trouble understanding why he would rather be in Tiwi than Melbourne! 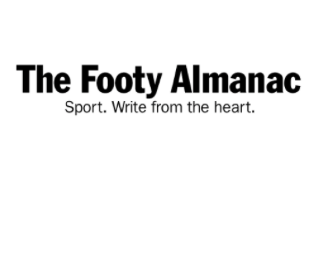 A few years ago I was hawking Footy Almanacs at a cricket club do. The guest speaker that night was the King of Colac. As part of the night he conducted a Q&A with those gathered. Someone asked him who was the best player he ever played with at the Hawks. His answer? Junior. He explained, saying you know how you watch Cyril in the stands and he gets the ball and you have no idea what he’s going to do next. Well, that’s the same for us on the ground. Only difference being you get to sit back and applaud and cheer and marvel for minutes afterwards. We have to get on with the game with his dizzying display still ringing in our minds. Oh Cyril, I would do anything just to be like him. Yes, indeed. Well played Cyril. Your special brilliance has been well acknowledged above and will be greatly missed. I only hope that the couple of moments of genius that we’ve witnessed from Daniel over the last couple of weeks is a sign that the Rioli family dynasty will continue to deliver for years to come. The game needs them.